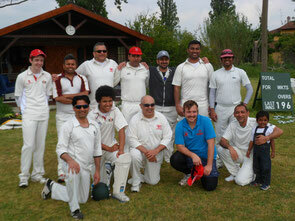 Winterthur CC escaped the winter conditions of Switzerland and enjoyed a weekend of cricket in Lodi, Italy (near Milan). Although the weather forecast was for showers the cricket was played in pleasant and often sunny weather. Particularly pleasing was the number of members that participated in the weekend. The party of players, wives, girlfriends, children and WCC spectators totaled in excess of 30. In the first game Selva got Winterthur off to a flying start and WCC were scoring runs freely. There were many useful contributions with the bat and some good late hitting from Vinny and Nathan with Winterthur eventually being bowled out for 196 in the final over. In reply Idle CC always looked in with a chance of making the total, but WCC hung onto their catches, bowled well and got the win they deserved, by bowling Idle CC out for 153, with Ravi contributing an impressive 83 to that total. Young Ruan bowled particularly well, but it was occasional bowler Prafull that finished with the bowling figures of 4 for 18. Game 2 on the Sunday was an exciting encounter with the result in the balance right up to the final ball of the game, and even here there is some dispute as to whether the last ball was a 4 or a 6. The result would have been a Winterthur win if Prafull had hung onto the catch on the boundary, but the ball fell out of his hands and landed just before/on/over the line. On the Scoresheet the last ball has been scored as a 6 by the Idle CC scorer, so as they say “look in the book”. :-) Once again, Winterthur posted a good score of 176 – 7 with Rohit (76) and Prafull (46) both playing classy innings. Idle CC got of to a great start putting on over 80 for the first wicket, but WCC fought back well. Khawer picked up 3 wicket and Idle CC started to drop behing the run rate and suddenly it looked like WCC were going to be the winners. 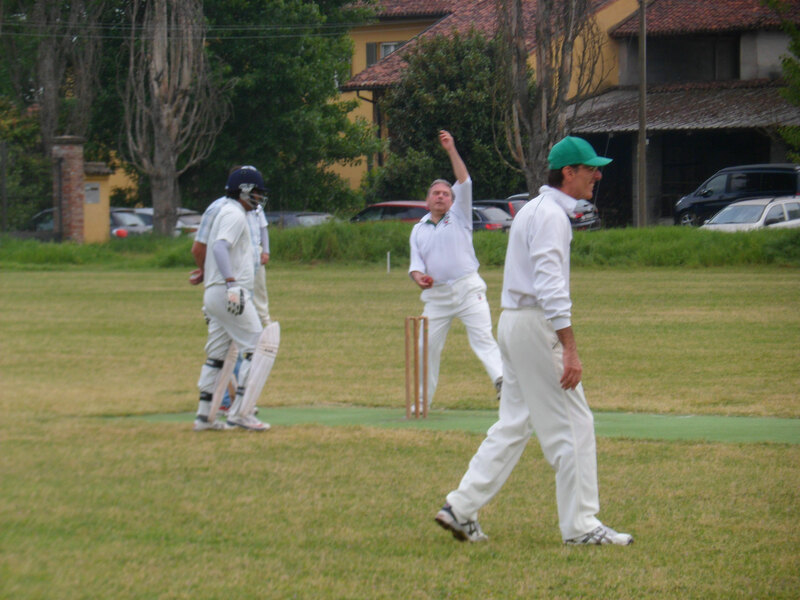 Jiten bowled the last over with 12 runs required for Idle CC to win. Jiten actually bowled a tidy over with the batsman swinging and missing but connected with one that went for 6, then came that final ball. For further details of WCC's tour to Lodi, Italy, contact John Hallam. See more photos from the Lodi tour.